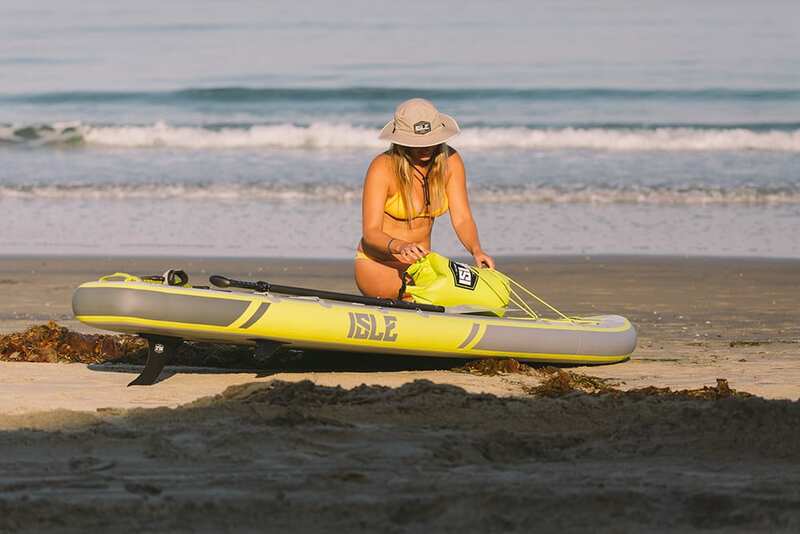 The all-weather dry bag that is perfect for keeping all your items safe and dry while paddling around. 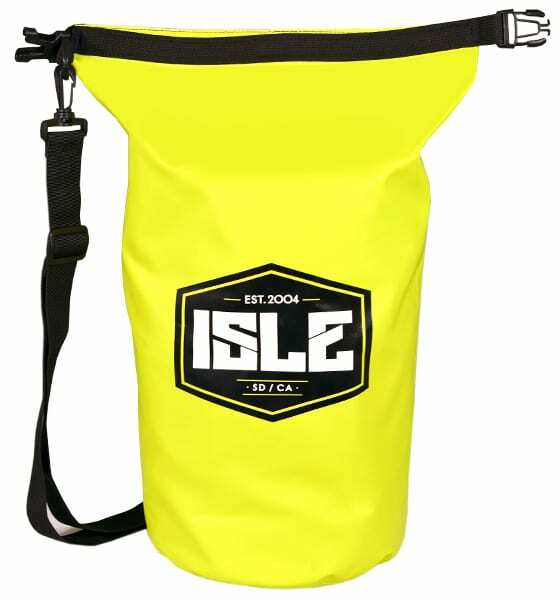 The ISLE 15L Dry Bag is a rugged all-weather gear protection that will keep your items safe and dry from anything mother nature throws your way. 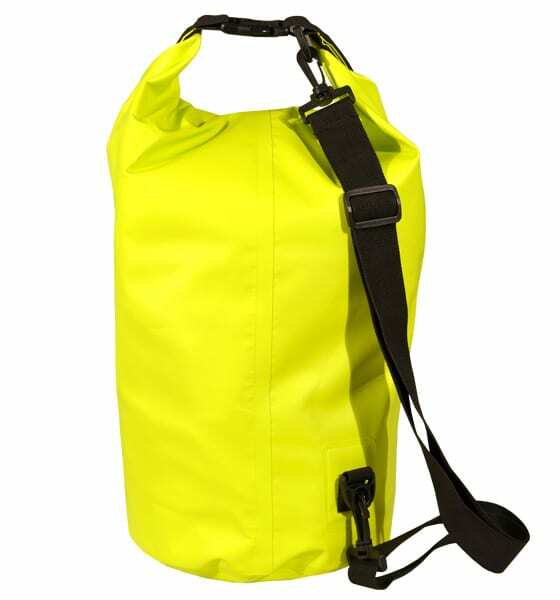 The bright color comes in handy in the event that your bag is lost or falls overboard. This is the perfect size to pack what you need for the day and isn’t too big or bulky where it’s difficult to strap to your board. 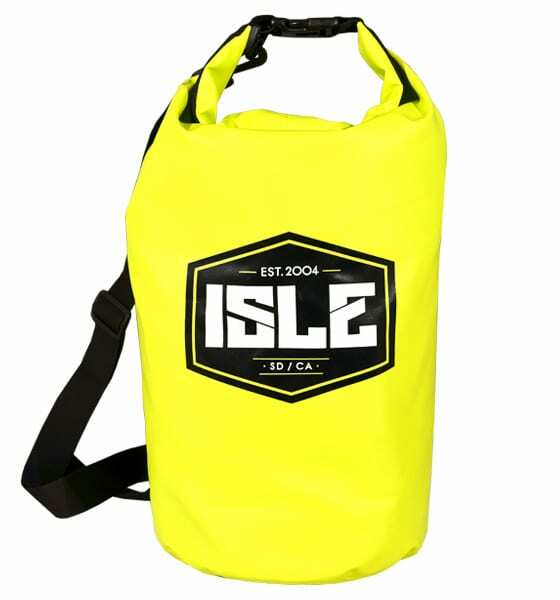 With a removable shoulder-strap you can sling it over your shoulder or strap it to your boat or standup paddle board. 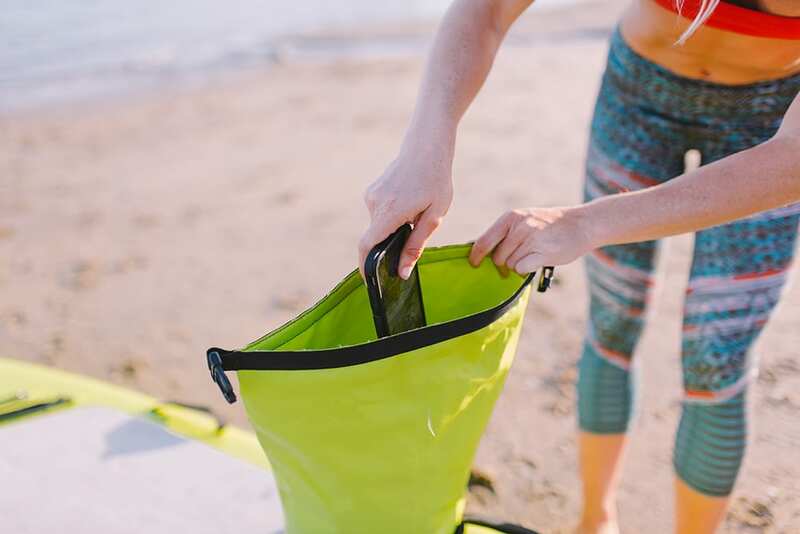 We suggest leaving a little air in the bag so it’ll float in the water if it falls off the board. 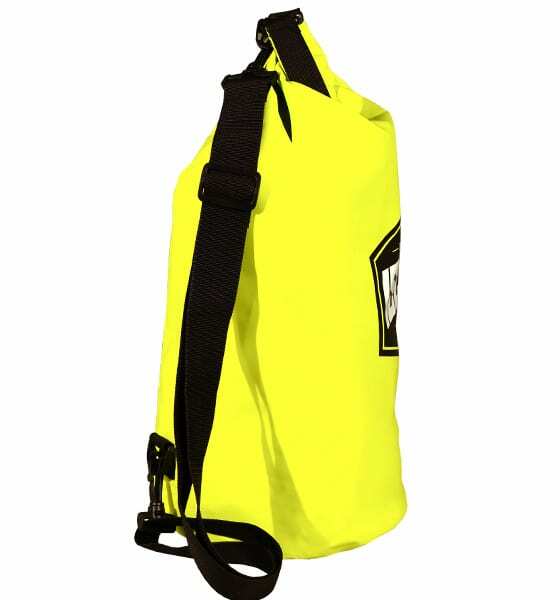 This dry bag is made with a heavy duty 500D fabric, vinyl-coated for watertight protection.